Vivo NEX 2 Two Displays And Three Rear Cameras, Specification, Features, Details. Weibo's NEX smartphone is the best. In terms of powerful performance, superb display and solid design, this device is the killer. Now it is the alternate version of its addition. Chinese smartphone maker Vieu is preparing for its next flagship smartphone NEX 2. According to reports, this time the company will launch NEX 2, not one, but with two displays. The first Generation Nex has a pop up selfie camera and a full view display. In terms of performance, this smartphone is included in this segment's best Android. The dual-screen is not new to the smartphone industry. Meizu gave two displays in Meizo Pro 7. Recently, ZTE has made a dual display in its sub-brand Nubia X. Dual display i.e. a front display second rear display. So far, in the dual display smartphones, the second display is used only for self-clicking, because a selfie camera will not be needed, you can click selfie from the primary camera, obviously the quality will come good. Hopefully Vivo has done something special to make the second display more practical. There are also disadvantages with the advantages of dual display, battery consumption is high. 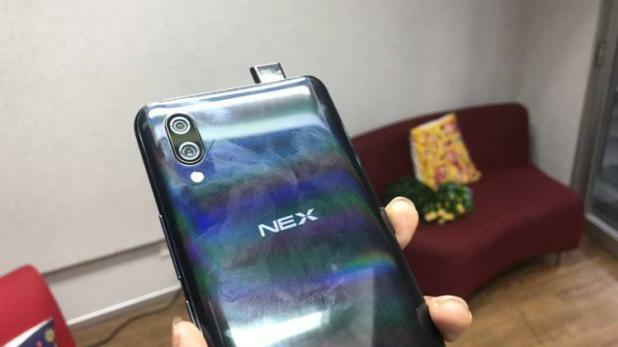 Some pictures have been leaked to the Internet, which are being reported to NEX 2. Although we can not confirm it at the moment. According to the leaked information, this time the company will offer three rear cameras. No camera will be on the front for Selfie, because of the dual display, you will be able to take selfie from the primary camera itself. It will be hasty to tell what the smartphone will be in the smartphone. But this is Vivo's flagship smartphone, so the Qualcomm Snapdragon 845 chipset can be given in it. The display will be 6.59 inches similar to the NEX and this time the AMOLED panel can be used.